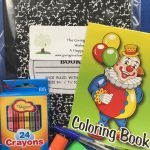 Some schools struggle to provide the students with the supplies needed to have a great educational experience. Groups learn how challenging it can be for students to thrive in their classrooms without access to pencils, crayons, notebooks and other essentials. 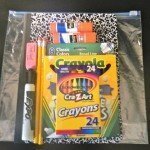 The activity bags are given to underprivileged students to make the sun shine a bit brighter in their day. The hand-written messages from one child to another add the perfect touch of kindness.